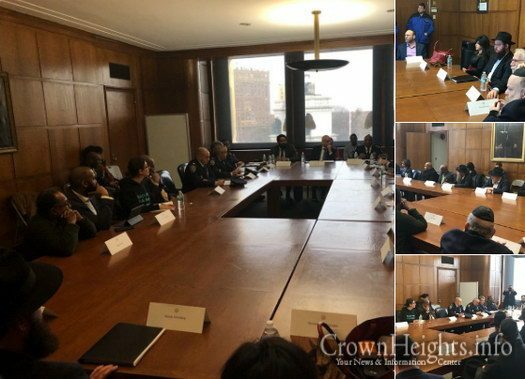 A joint meeting between the Mayor’s office, NYPD and Crown Heights Community leaders came together Wednesday morning. The focus of the meeting was the recent rise in hate crimes plaguing the area. 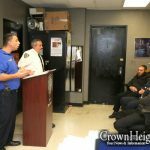 A joint meeting arranged by the Mayor’s office brought together community leaders of the Crown Heights area and the NYPD, Wednesday. The morning meeting at the Brooklyn Public Library discussed the recent rise in hate related crimes that have plagued the area. Also discussed was the possibility of better education in schools to prevent these incidents from occurring in the future. 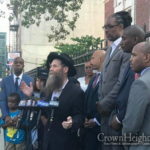 The most recent incident occurred in the Bushwick area of Brooklyn, where a window was broken at a Chabad Center during the Friday night meal. 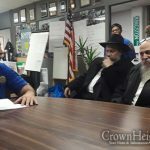 Notable at the event was Rabbi Mendy Hershkop, a Coordinator of Crown Heights Shomrim, and JJ Katz, a Coordinator of Crown Heights Hatzolah. Rabbi Shea Hecht from NCFJE was also in attendance with Benji Stock of Bais Rivkah, and Rabbi Plotkin from Bais Chaya Mushka. Also at the meeting were community members Devorah Halberstam, Chanina Sperlin, and executive director of the CHJCC Eli Cohen. Its Smart that this meeting was held at a neutral site. Shows the Mayor and NYPD are at least starting to grasps that there’s a problem.